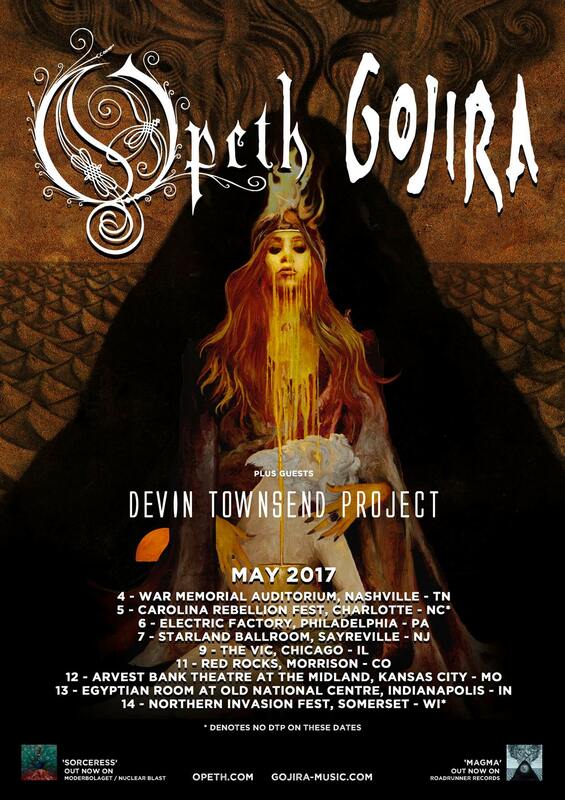 Opeth and Gojira will join forces for a short co-headline US tour scheduled for May 2017. The bands will be joined by Devin Townsend Project as special guests. All three bands are currently promoting their 2016 releases: Sorceress (Opeth), Magma (Gojira), and Transcendence (Devin Townsend Project).